Posted January 15, 2019 by Sarah Lederle & filed under . Alexandra Rochat moved from her native Switzerland to the Yukon in 2008. She began her racing career in 2010 competing in mostly mid- to long- distance races. 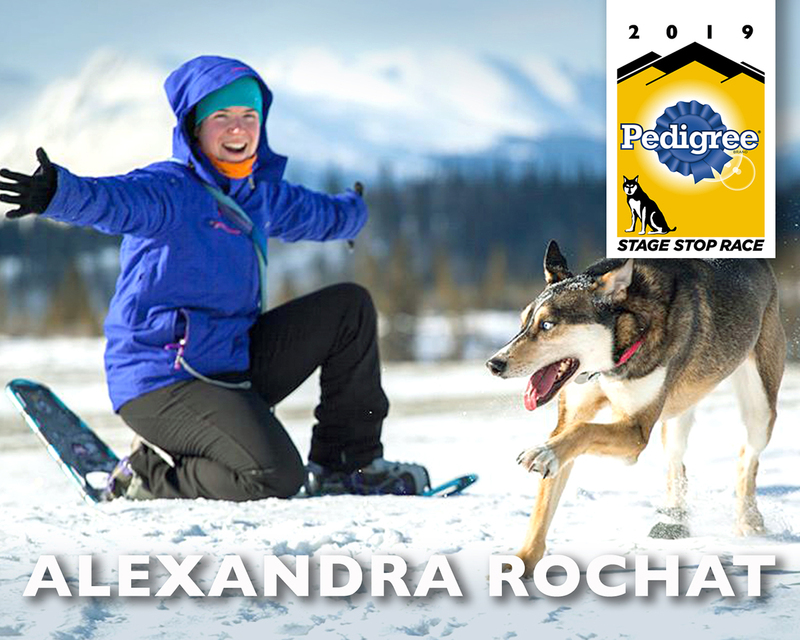 She has enjoyed racing many competitions including the Percy Jr. (2010, 2011, 2017), Percy DeWolfe Memorial Race (2015, 2016, 2018), Yukon Quest 300 (2015), as well as both the Tustumena 100 and Two Rivers 100 races last year. She is looking forward to trying her hand at the Stage Stop. She started her 3600 km (2200 mi) trek to Wyoming on Jan. 10, hoping to arrive in Pinedale 4 days later to acclimate herself and the dogs for a couple days before putting the final conditioning touches on her team. Snow conditions for her have been marginal at best at home, with only a few runs on the sled due to warm weather early on and then extreme cold of -40C. All of this is not ideal for training, but mushers no matter where they are have to adjust to the changing weather patterns year to year. Being unfamiliar with Wyoming creates another set of challenges along with having to pick up the pace, this being her first non-mid-distance event. We are anxious to meet Alexandra at the start in Jackson on Jan. 25. Welcome aboard!